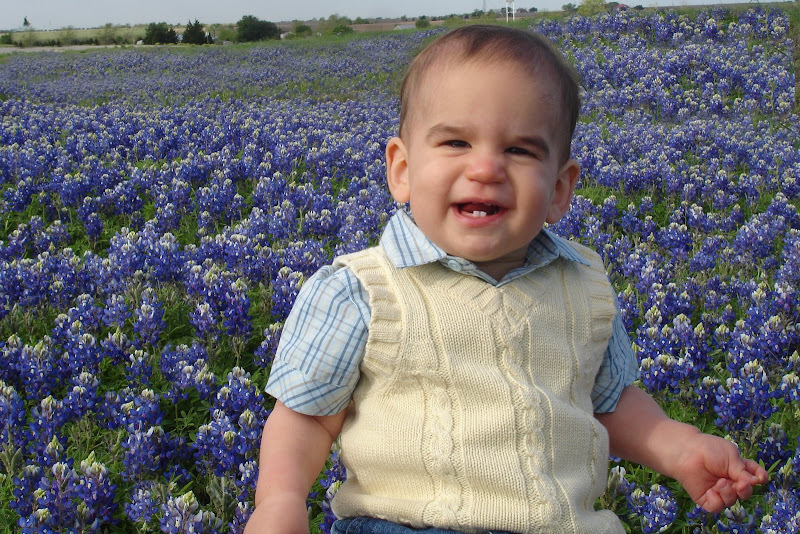 Now obviously you can tell why this is ’round 1′ of my annual bluebonnet pictures. So, there will be more pictures to come with sisters! 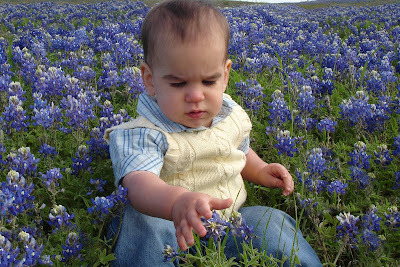 Really, this morning was just a ‘scouting trip’ to see if I could find any bluebonnets nearby. 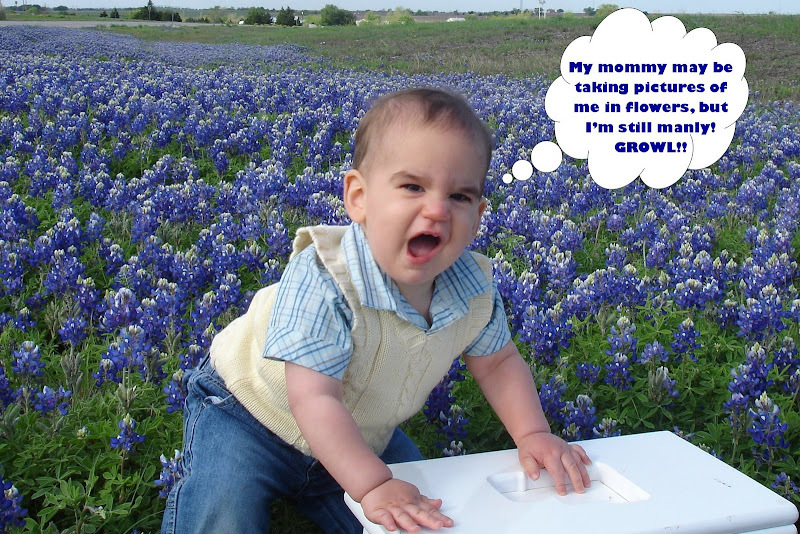 Much to Asher’s dismay, we did, and even though it was only 55 degrees outside, (he should know now that mommy will do whatever it takes to get ‘the shot’), I parked him in the middle of the flowers to ‘chill’ (literally) while I snapped pictures furiously. The last one turned out great! He doesn’t seem to mind the weather! If it were 55 degrees here we would break out the tank tops! « It’s time for the radio!